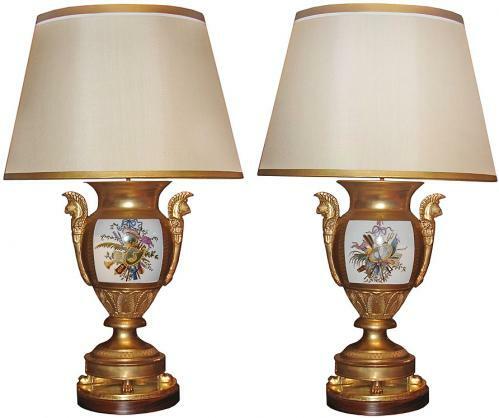 An Elegant Pair of Gilded Porcelain de Paris Vases, Now Electrified as Lamps No. 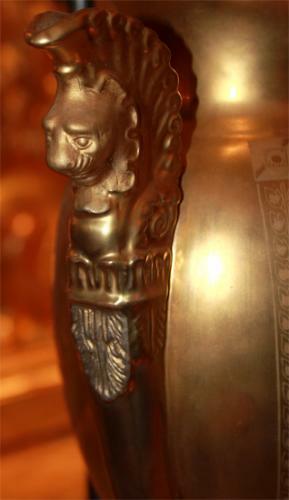 2185 - C. Mariani Antiques, Restoration & Custom, San Francisco, CA. Height: 15 1/2"; Width: 9"; Depth: 5 1/2""